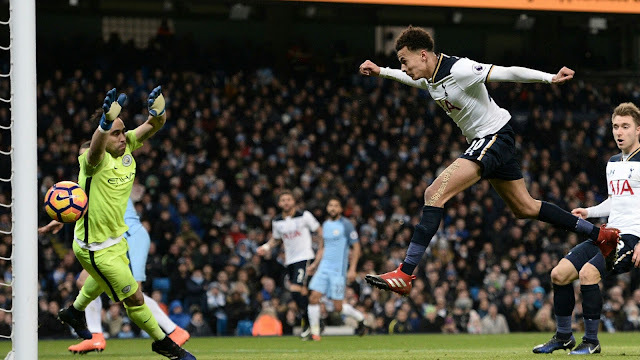 Tottenham Hotspur settled for a draw away at the Ethiad Stadium today, after been outplayed by the citizens, ending their six League wins in a row but moving them a point into second position. 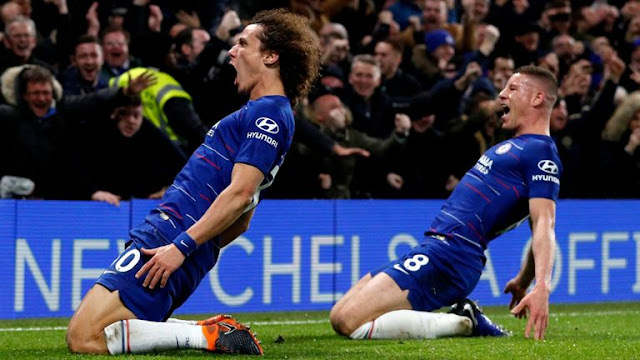 Manchester City displayed a great show of football and this time with John Stones on the bench, defending was much more effective but the attack was poor as the City forwards wasted a lot of opportunities in the first and second half particularly by Aguero and Sterling. City got ahead early in the second half, been fed by a long range through-pass and also bad goal keeping by the Tottenham goalkeeper, who tried heading the ball out of Sane's reach, but wasn't hard enough to stop the forward leaving him with an empty net. The Tottenham goalkeeper looking more of the problem for Tottenham, caused another goal through irresponsible keeping which led to De Bruyne 's goal in the 54th minute. Sterling would have added another just before Tottenham' s first goal but fouled by his opponent just infront of the keeper in a one on one position which was disallowed by the referee, thus creating a build up for a counted ended up with Dele Alli's header for Tottenham's first goal. Heung-Min Son came in at half time, but not long his impact was felt in the team, and his incredible positioning helped in leveling up the Score, scoring from Close range. The Game mostly dominated by Manchester City had almost a well deserved victory for them as Jesus given his international permit was able to play in this fixture, Replacing Sterling, almost gave an assist with his first touch on ball, scored a goal canceled for offside and was very influential in the Manchester City forward. 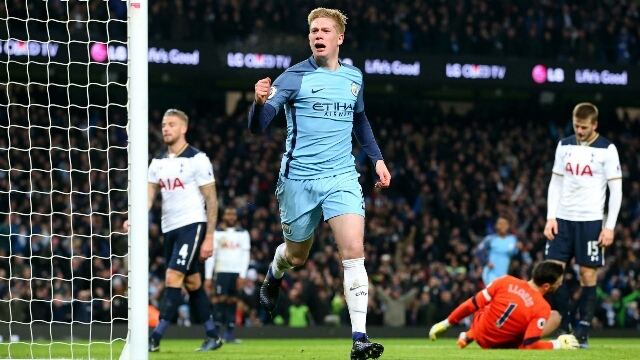 The Game leaves City in the fifth position and Pep Guardiola should be happy of his team improvement while Tottenham should be luck to have secured a point a game they had no hope of a draw.